Did you know it’s almost Thanksgiving? Really. We can’t believe it either. Still, pie is coming, thus making this one of my favorite holidays. Of course that also brings up all kinds of turkey discourse. and athletic abilities. We let the MEN take care of all scalding liquids. It seems reasonable that our husbands and brothers-in-law would want to chat up the Turkey Guy. The men in our lives seem to have a penchant for making friends with strangers. 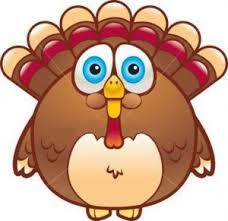 ALSO – and this is way more important to Thanksgiving – there seems to be some trouble with skinny turkeys this year. Butterball has no idea why the turkeys wouldn’t get fat. They said they tried everything and the damn birds are still skinny. Two weeks later – easy. Clearly the turkeys haven’t been hanging out with the Quill Sisters. We can make anything fat. Give us full access to the turkeys for a month or so and those birds will be alarmingly fat. Obese. Zaftig (it’s a word, look it up). The doctors at the Quill Sisters Clinic for Obesity prescribe white cake squares with white frosting and sprinkles, left over Halloween candy, pizza, orange chicken and coffee cake. Those little suckers will be waddling for sure. 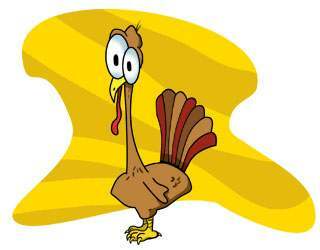 Deep fried turkey sounds good–imagine the skin–but, no way am I working with boiling oil, either!